8-page papers will have a 20 minute slot (15 min presentation, 5 min questions). 4-page papers have a 15 minute slot (10 min presentation, 5 min questions). Please come to the session 15 minutes before it starts and introduce yourself to the session chair. AUI2011 will provide a laptop for presenations, presenters are also invited to use their own devices. Do not forget to check the technical functionality of your equipment. We will have poster walls sized 970x1470mm therefore we recommend to use A0 (841x1189mm) in portrait format. We provide no templates for the posters, design your poster as you like... Please send us a printable PDF of your final poster by November 16 to posters-demos@auto-ui.org. All the received PDFs will be included in the adjunct proceedings as well. Authors are responsible for printing their own posters. We will provide pins or adhesive tapes for mounting the posters on the poster walls. The poster session will start with a one minute madness. During this portion of the session authors will have exactly one minute to attract conference attendees to visit their posters. Feel free to give a conventional presentation or to be unconventional. Please also create a Powerpoint presentation to go along with this one minute presentation. As one minute is not long, the presentation should be preferably only a single slide. Please send the PPT to posters-demos@auto-ui.org no later than Monday, November 28, 2011. Your slide will be loaded onto a laptop provided by the conference organizers. During the one minute madness, posters will be presented in the order as given in the adjunct proceedings (and circulated to authors in advance). Presenting authors should talk to the poster session chair (tba) during the coffee break before the poster session. The posters themselves will be on display in the poster session right after the one minute madness. There will be enough time before to mount your poster on the poster wall. Is Automotive Technology Leaving the Driver Behind? Rethinking How We Engineer Interfaces to Accommodate The Capabilities Of The Driver. Abstract: Vehicle interfaces evolved slowly over most of the last century. In contrast, recent innovations in display technology in combination with advances in sensing systems and computational capabilities have led to a rapid evolution of the vehicle interface. In the late 20th century, automotive interfaces primarily relied on a set of basic controls. Over the past 10 to 15 years interfaces have transformed into multi-functioned control stations with complex menu systems and multiple methods of accomplishing various activities. Embedded telematics systems, in combination with the increasing presence of nomadic devices, draw upon the driver’s limited attention resources. In addition, semi-autonomous control systems increasingly offer to assume shared control of the vehicle and advanced safety systems warn drivers when they appear to be operating outside of acceptable control limits. While these systems offer the promises of improved connectivity, increased comfort and enhanced safety, complex and multiple system interfaces sometimes place increased demand on the driver. * Easy to follow methods for learning to use new technologies are often not available. * The designers’ mental model frequently does not overlap with the consumer’s existing sense of “how things should work”, making the adoption of new technology challenging. * Visual, manipulative and cognitive demands associated with basic interface operation are increasing as demographic changes such as age and health status leave the “average” driver less capable of handling the additional demand. This keynote will focus on the changing automotive user interface, the need for increased consideration of user characteristics, and methods that can be used to assess the performance of interfaces. For instance, what are the implications of increased reliance on auditory alarms and feedback systems when the average older male driver suffers from hearing loss? Can semi-autonomous systems easily and successfully penetrate the market without new forms of driver education? Voice interfaces offer the promise of improved interaction; however, what data exist to establish that they are truly less demanding and safer? Highlighted in the talk will be areas of research related to state detection, driver distraction and new in-vehicle technology evaluations being conducted at the MIT AgeLab. Recent research on physiological reactivity and changes in visual attention in response to graded levels of cognitive workload will also be considered. Finally, novel applications explored by the lab for using state detection as a foundation for alerting / cueing the operator will be discussed. 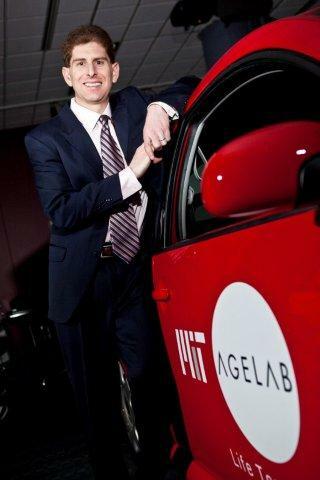 Short CV: Bryan Reimer, Ph.D., is a Research Engineer in the Massachusetts Institute of Technology AgeLab and the Associate Director of the New England University Transportation Center. His research seeks to develop new models and methodologies to measure and understand human behavior in dynamic environments utilizing physiological signals, visual behavior monitoring, and overall performance measures. AUI2011 is proud to present the 4 workshops, which are planned for Wednesday, November 30th. Please visit the workshop websites for detailed information. The aim of this workshop is to discuss the potential and possible application of subliminal techniques employed to counteract the problem of limited cognitive abilities and bounded attention of a driver. To alleviate the cognitive load associated with the interaction with the variety of emerging IVIS/ADAS in addition to the driving task, we assume that subliminal techniques offer high potential to significantly reduce the amount of information to be processed simultaneously. These cues should be provided using appropriate modalities (visual, auditory, tactile/haptic, olfactory, etc. ), following the specific nature of the task to fulfill, and according to a driver's abilities. As research and discussion on subliminal techniques would benefit from a significant collaborative effort from a range of disciplines like engineering, neuroscience, computer science, psychophysiology, we invite researchers from these fields to submit their position paper and participate in the workshop. We are sure that the approach provides exciting challenges, which will significantly impact on society at large, making significant contributions toward a more natural, convenient, and even a relaxing future style of driving. Interactions with in-vehicle electronic devices can interfere with the primary task of driving. The concept of cognitive load helps us understand the extent to which these interactions interfere with the driving task and how this interference can be mitigated. The workshop will address cognitive load estimation and management for both driving and interactions with in-vehicle systems, and will also endeavor to provide guidance on problems, goals, hypotheses and approaches for future research in this area. Natural user interfaces by means of gesture and speech interaction have become a hot topic in research as well as already for real products. Most use cases currently center around consumer electronics devices like, e.g., smart phones, TV sets, or gaming consoles. Motivated by the latest results in those areas, our vision is to apply natural user interfaces like gesture and speech interaction to the automotive domain as well. This integration might reduce driver distraction in certain cases and allow designing new experiences for operating infotainment and entertainment systems. The goal of this workshop is to explore the design space of natural multi-modal automotive user interfaces in order to analyze where and how new interaction techniques can be integrated into the car. We would like to bring together practitioners and researchers to identify and discuss challenges and possibilities of automotive natural user interfaces which also includes discussing user experience aspects in researching and developing automotive UIs. Today, there is a trend towards integration of mobile (nomadic) devices into the car ecosystem. Thereby, this integration goes beyond using the devices' core features (such as making phone calls, short messaging, or using social media networks) in the car but integrating. Soon, tablets and smartphones will be a vital part of the car enabling services that cannot be used in the car without these devices anymore. This development leads to several research questions regarding the software engineering domain. In this workshop, we are going to discuss current challenges and promising approaches for integrating mobile devices into the car environment from different standpoints. Challenges regarding requirements engineering, user experience and software architecture will be addressed from different stakeholder viewpoints (User, OEM, supplier, 3rd party developer).